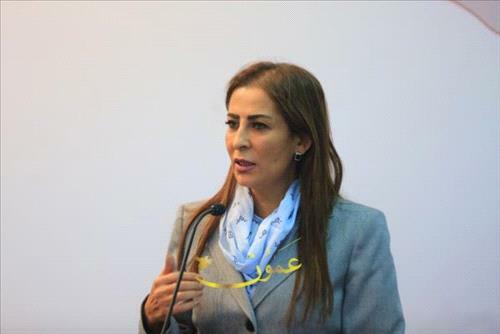 AMMONNEWS - Jordan enforces laws designed at protecting responsible press freedoms while safeguarding personal privacy and rights, State Minister for Media Affairs, Official Government Spokesperson, Jumana Ghneimat said on Sunday. Speaking at the "The Future of Government Communication Forum", part of the World Summit of Government currently being held in Dubai, Ghneimat underlined the need to continuously upgrade media-related legislation to keep pace with the rapid evolution of mass communications. She affirmed that Jordan is working to enhance press freedoms and at the same time protect personal space and privacy so press freedoms will not be used for encroaching on people's rights or used for character assassination. Ghneimat also referred to a new approach in Jordan through the "Media Education" initiative aimed at creating an early awareness of how to handle and make information. Furthermore, the minister underlined the need to address the "massive publication of targeted or inaccurate information" and said it was important to invest in the younger generation and enable it to well-manage information.